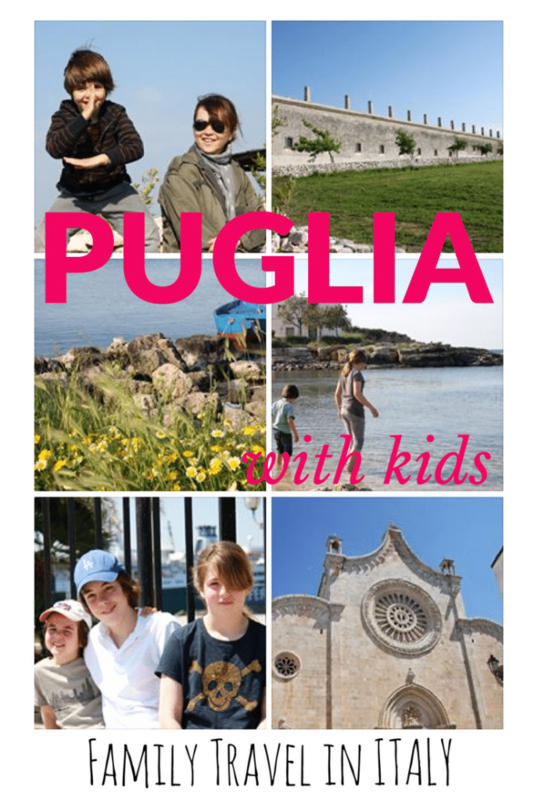 Puglia (deep South, the heel of the country ‘boot’), is one of Italy’s most magical regions we have travelled with the kids. 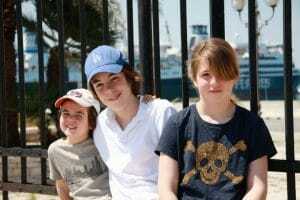 Why we loved it so much? 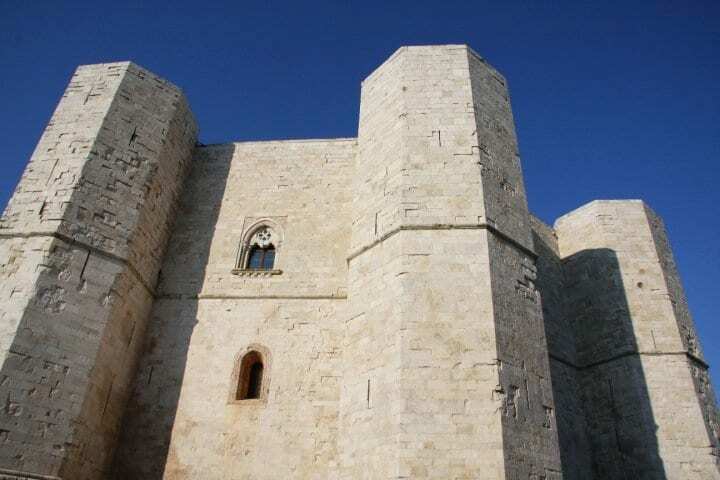 Because in Puglia with kids we felt we experienced ‘real Italy’, discovering hidden gems remote from the touristy Venice-Florence-Rome-Amalfi-coast tours. 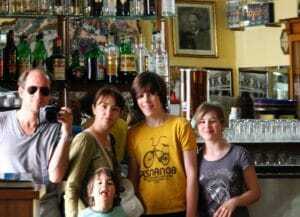 Because Puglia offers the best food we ever had in Italy, and some of the nicest family accommodations we stayed in. 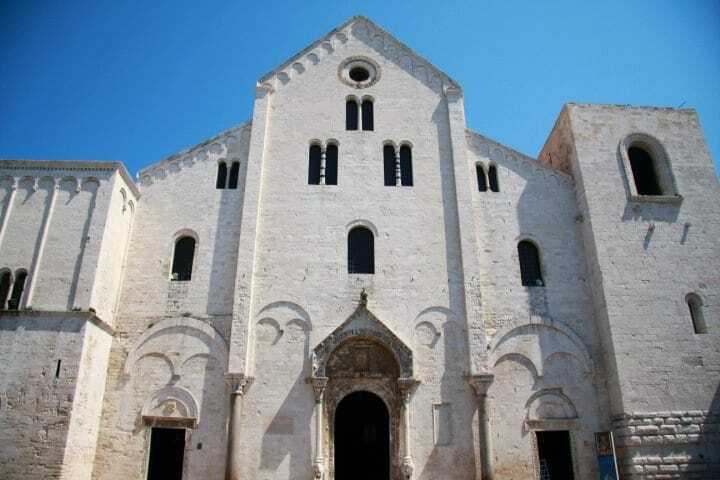 A fascinating architectural heritage, from Middle-Age castles to Baroque churches. 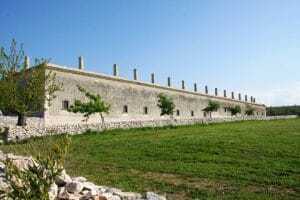 Several sites inscribed on the Unesco World heritage list. 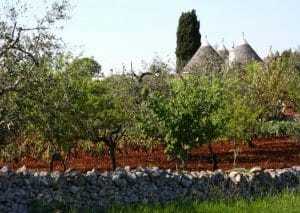 A relaxing family time among peaceful settings of olive trees. 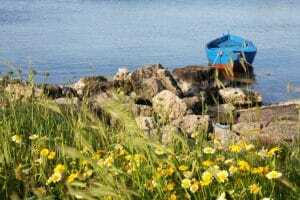 A bright blue sky and a wonderful light. 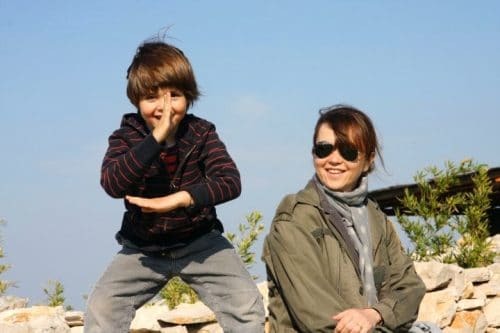 And the sea… Better than a long speech, take a look at the pictures for a quick overview of our great family trip in Puglia! 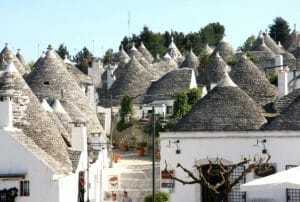 The incredible ‘trulli’ in Alberobello village, some old stone houses with a conical roof, built without mortar. An unique architecture! Children appreciate these hobbit or Smurfs-like homes: a lot of them are rentals, why not experience it? 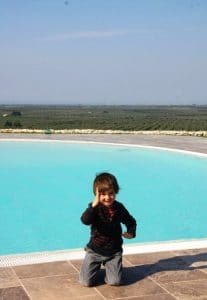 Puglia with kids definitely worth it: if you’re heading Italy, don’t miss it! 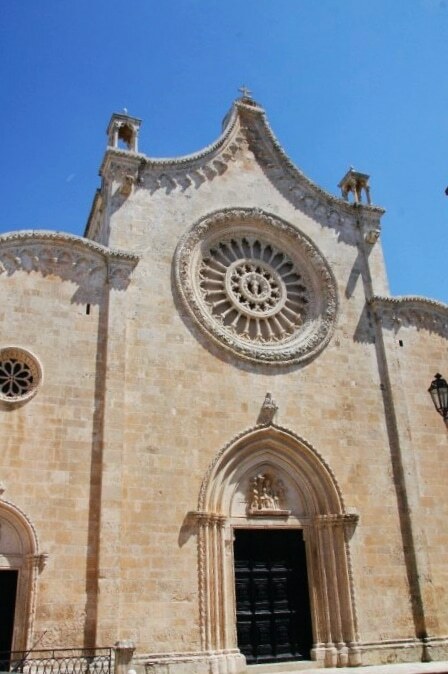 Puglia is well connected, with two airports : Bari (North of Puglia) and Brindisi (South of Puglia). 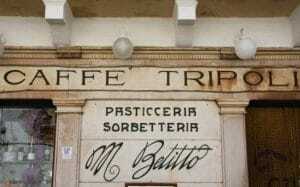 There are also railways connections from all the major Italian’s cities. 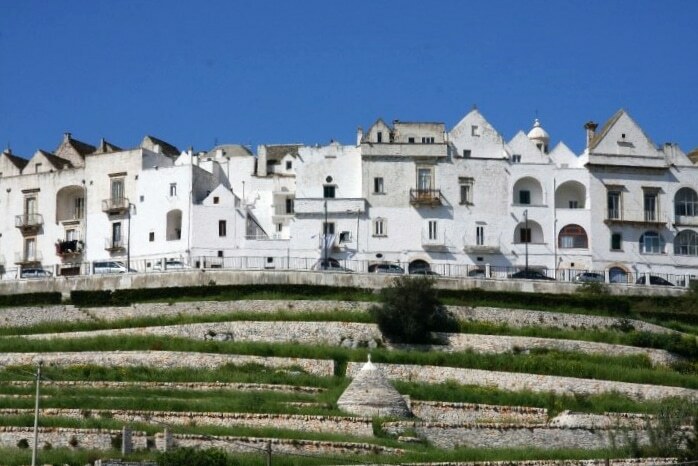 The best way to see Puglia is by car (rental). July and August are the hottest and the busiest months. I would recommend fall and more of all spring to get the most of your trip. 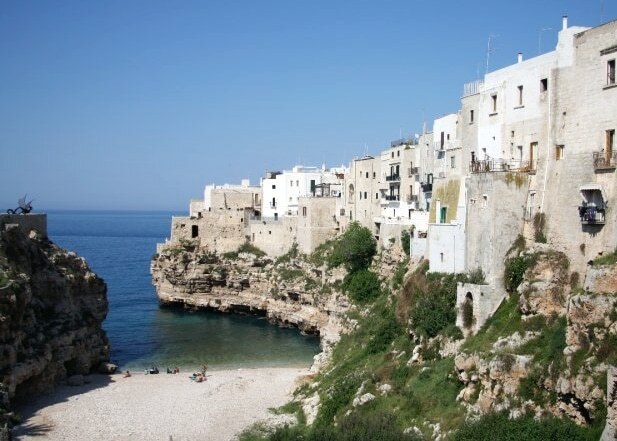 You’ve totally convinced me to visit Puglia, Virginie! I have great faith in your recommendations because I think we like the same kind of places 🙂 Thanks for this overview. I shall be sharing it! Thanks a lot Clare 🙂 I bet you will love Puglia! I love these small little houses. Like a fairytail place.